I’m in a great mood! I beat my fitness goals this week, I got a giveaway coming to you soon (just waiting for the arrival) and I made the best, and I mean best bread ever! 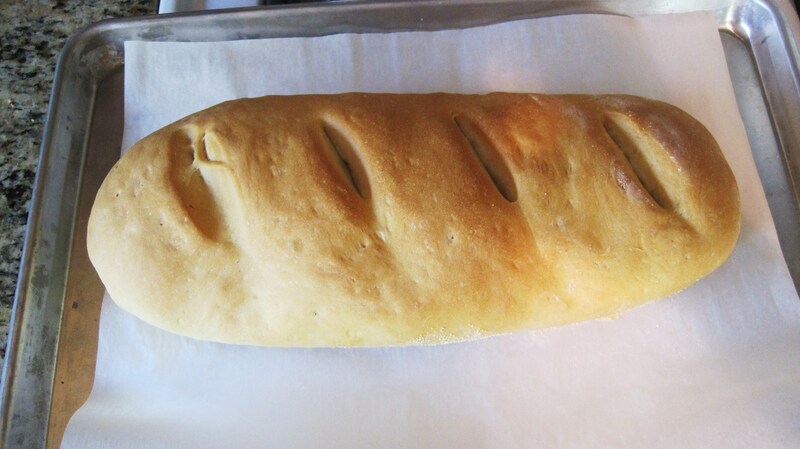 I am so pleased with this bread I couldn’t wait to share it with you! 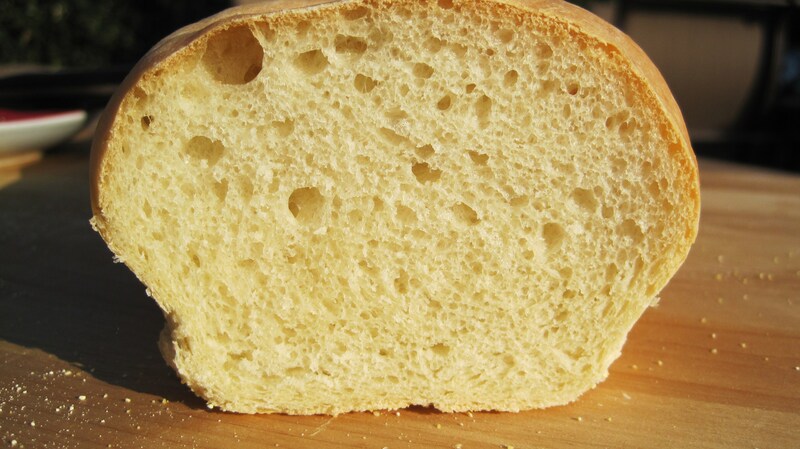 It’s crusty on the outside and moist, soft and perfect on the inside. 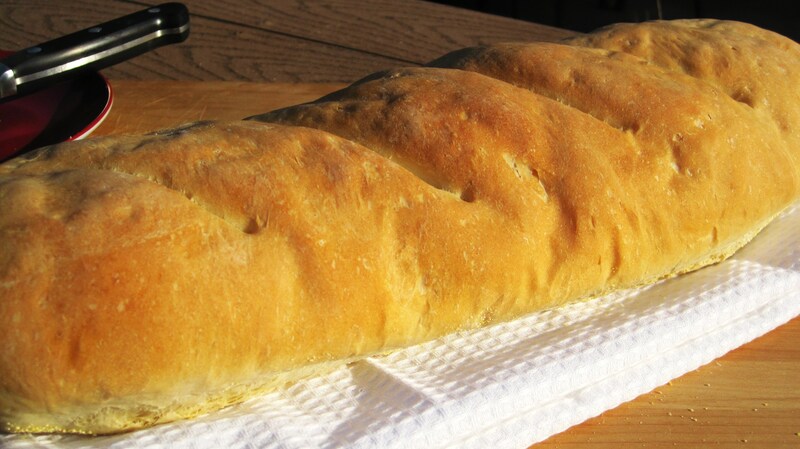 I even included step by step instructions for you, so you can make this bread this weekend! You have to make it! You just have too!!!! I used my Kitchen Aid Mixer to make this. If you don’t have one, you’ll have to knead by hand, but just do it, you love it! First thing I did was put 1 Tbsp. of Active Yeast in a bowl with 2 Cups of warm water (110 degrees, use your candy thermometer to check the temperature) and 1 Tbsp. of Sugar. 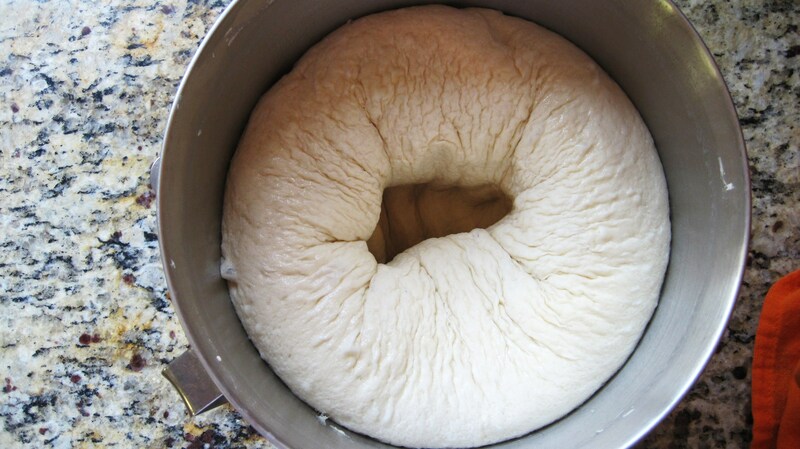 Wait 10 minutes, the yeast should be all foamy. 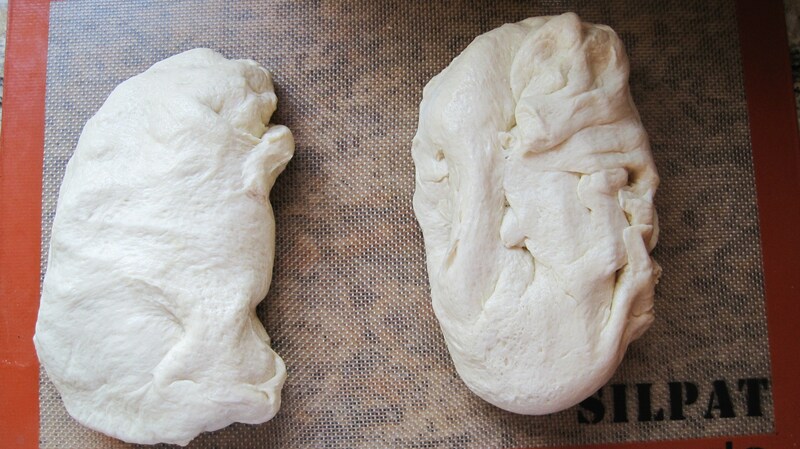 If there is no foam, your yeast is probably bad, start over. 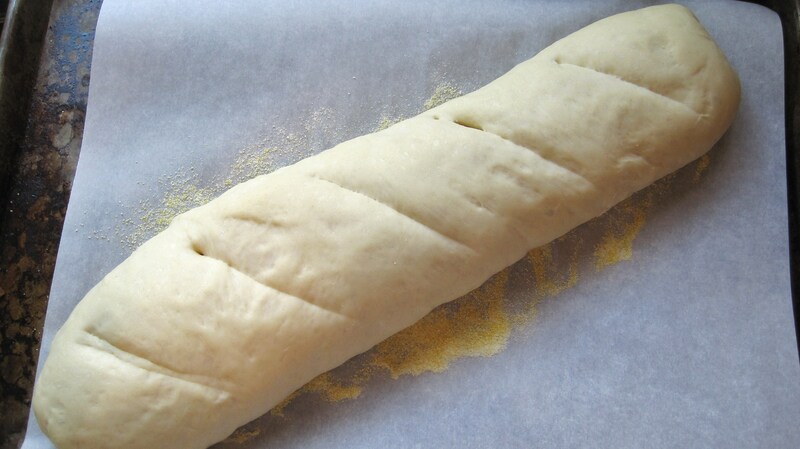 Add 3 Cups of Bread Flour (found at the grocery store), 2 tsp of salt and 1 Tbsp. of Vegetable or Canola Oil and beat together for 2 minutes. 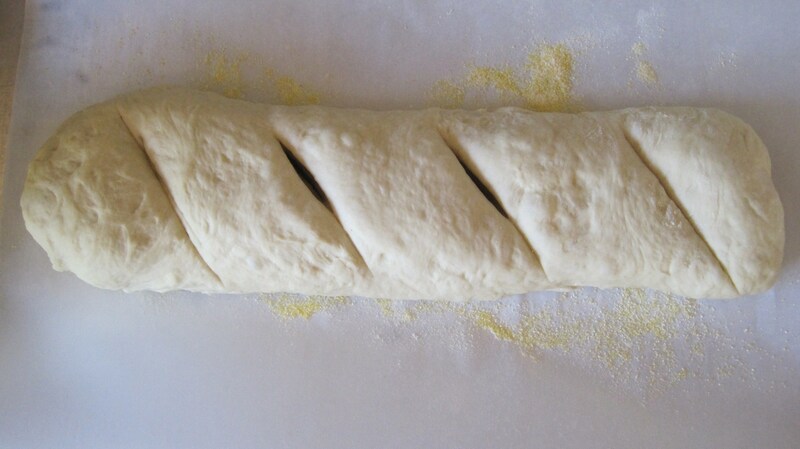 Then add 2 more Cups of Bread Flour and mix for 10 minutes until smooth and elastic. Punch dough down, that was cool! All the air popped out! 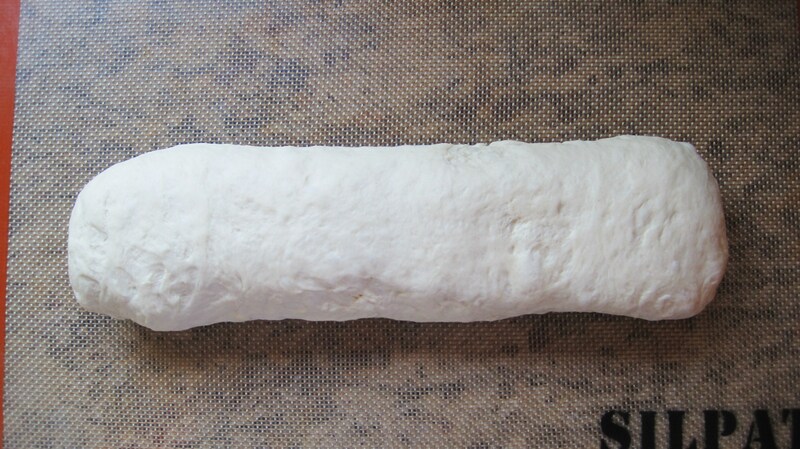 Divide dough in half, I used my scale and it was about 620 grams each loaf. 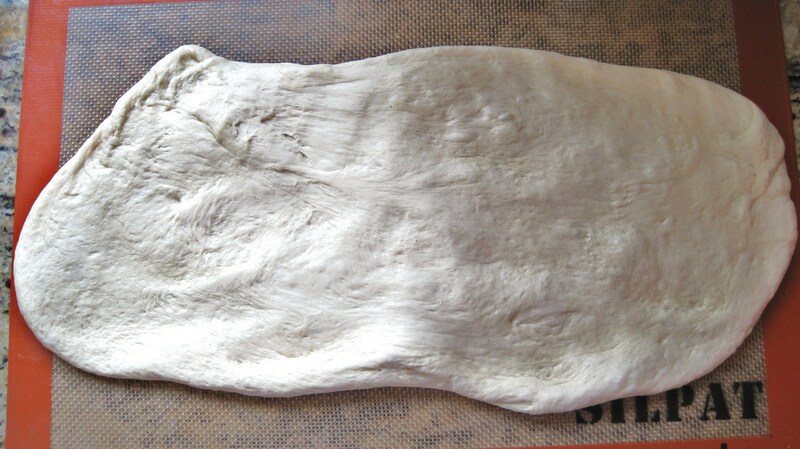 You may need to flour a surface for the next part, using a Silpat was awesome, no stickage. One of my best purchases ever!! Then fold the other side, really try to pinch them together so no air is trapped. Then tuck the ends in. You may have to play around a bit for this. 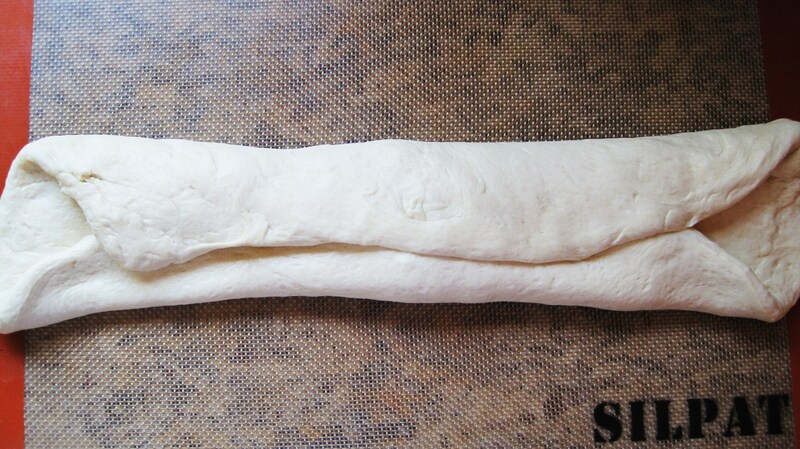 Shape your dough into a tight long bullet shape. 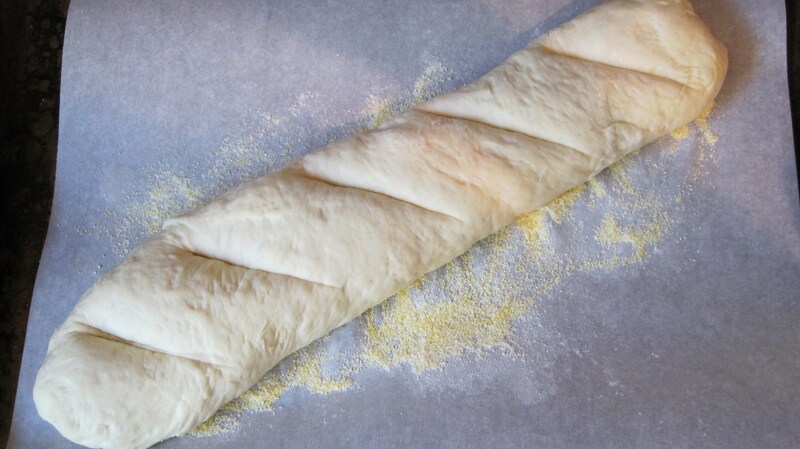 Place dough on a cookie sheet, greased or lined with parchment paper and sprinkle some corn meal on it and place your loaf over top. Cut four or so marks over the top, just don’t cut all the way through, this lets the steam escape. Cover with your tea towel. Now do the same to the other loaf. 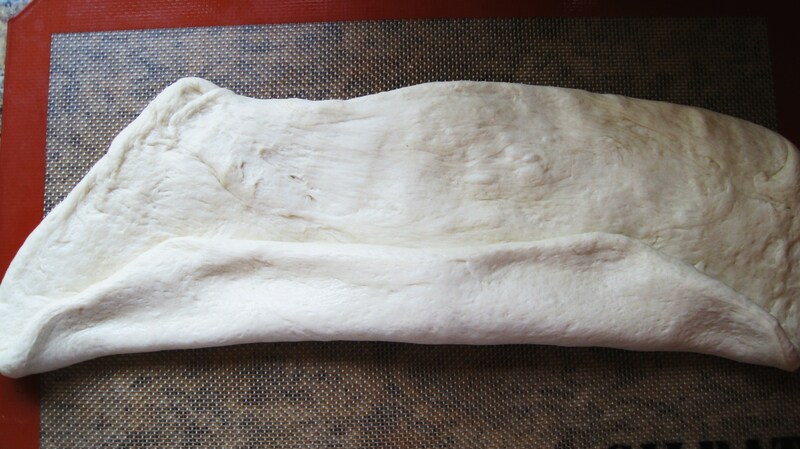 Once your finished forming your loafs, cover and let it rise for a 2nd time, until it doubles in size, about 30 minutes. Meanwhile Place an oven safe bowl or pot (I used a dutch oven) on the lower shelf of the oven and fill it with water. 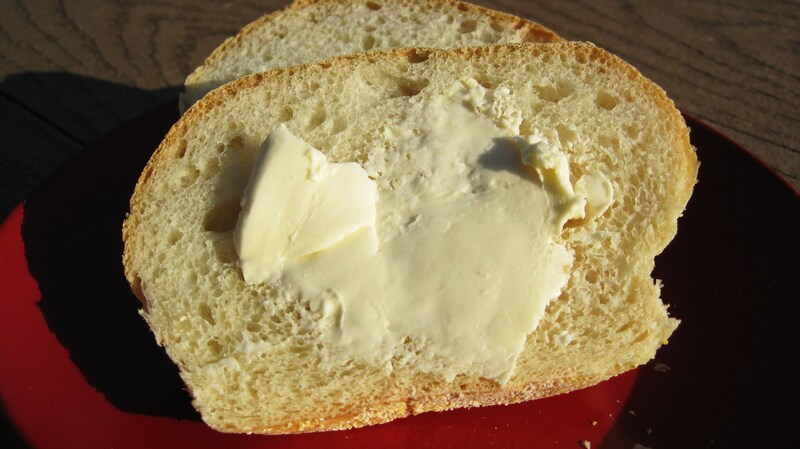 This makes your bread moist on the inside. Preheat oven now on 375. 2nd loaf after 2nd rise. Now place loafs, if you can fit two in the oven, I baked my loafs one at a time for 20 – 25 minutes. Loafs will be done when it’s lightly brown on top and it sounds hollow when you tap it. 1st loaf out of the oven. 2nd loaf out of the oven. So good and it was pretty easy! You’ll be pleased with this bread. 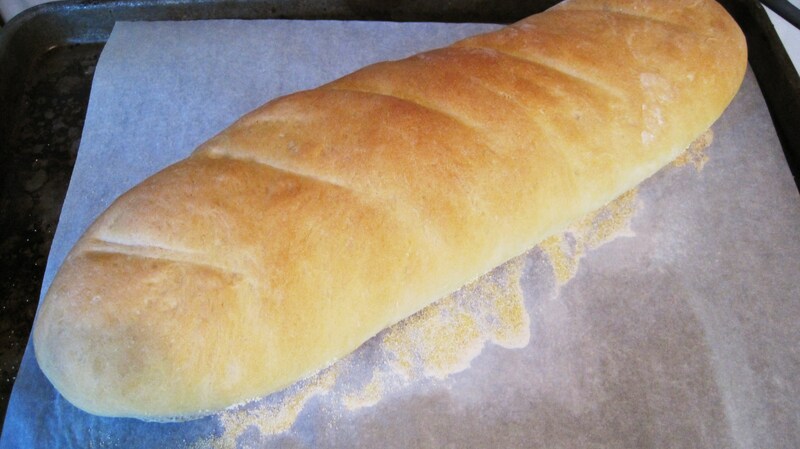 I am not a bread maker and I did this, so I know you can!! 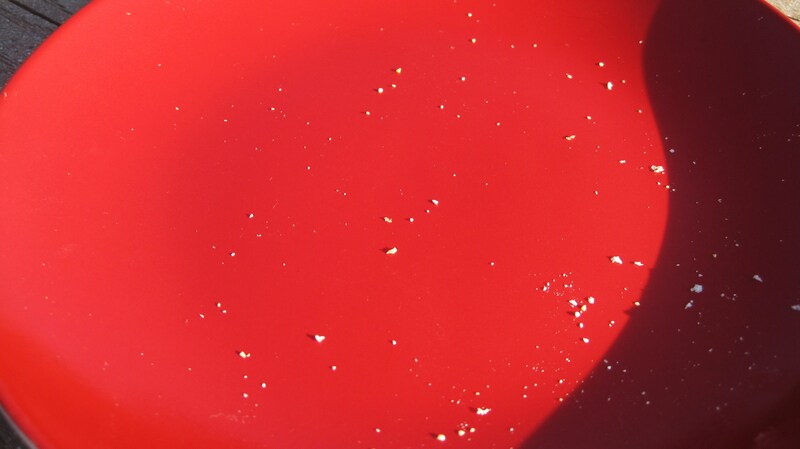 Dissolve yeast in warm water (110 degrees) and sugar in large bowl; allow yeast to proof or foam (about 10 minutes). 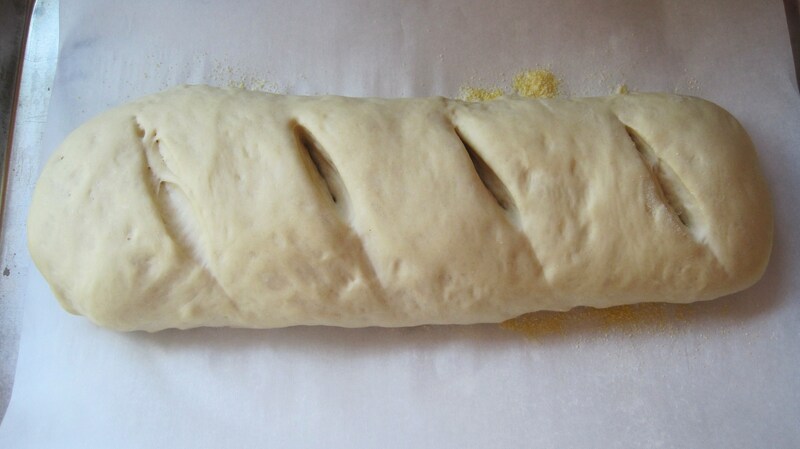 Add salt, oil, and 3 cups flour; beat for 2 minutes. 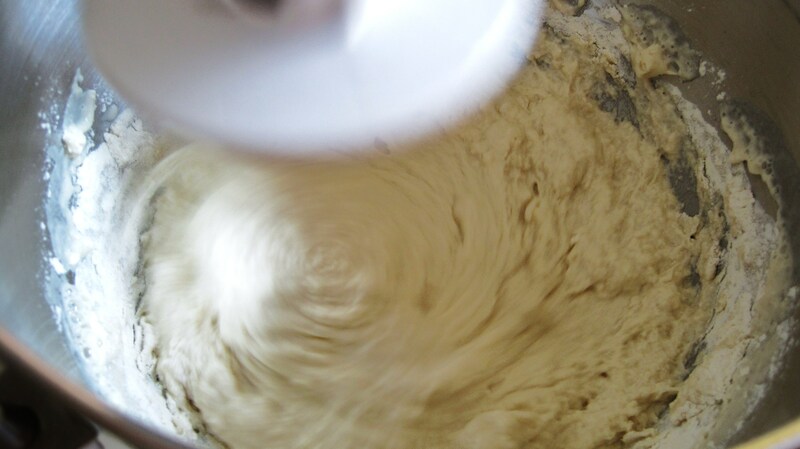 Stir in 2 cups flour to make a stiff dough. 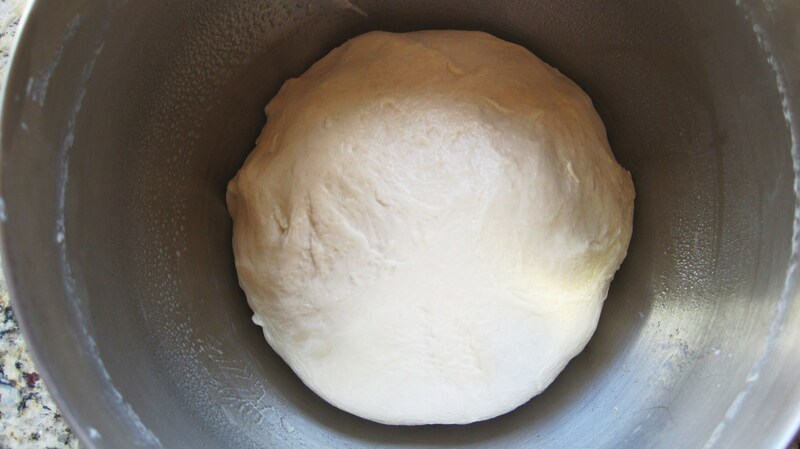 Knead until smooth and elastic, about 10 minutes. Punch down and divide in half. Grease a cookie sheet or line it with parchment paper and sprinkle corn meal on it. 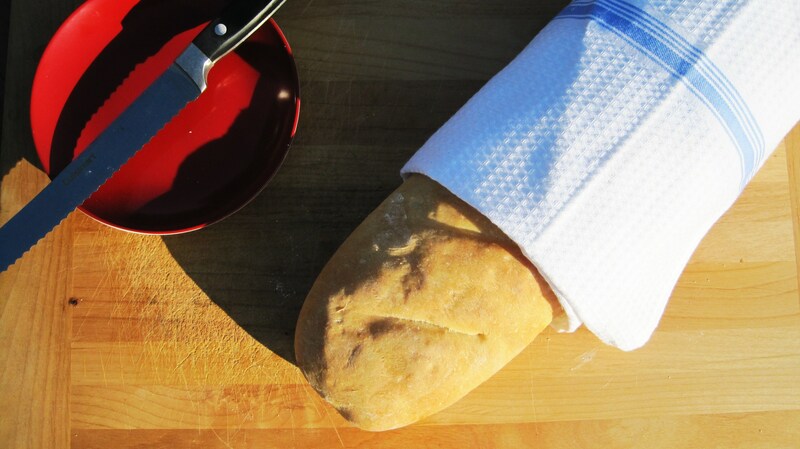 Place loaves in pan and cut diagonal gashes on top of each loaf (I use a steak knife). Cover and let rise until doubled. 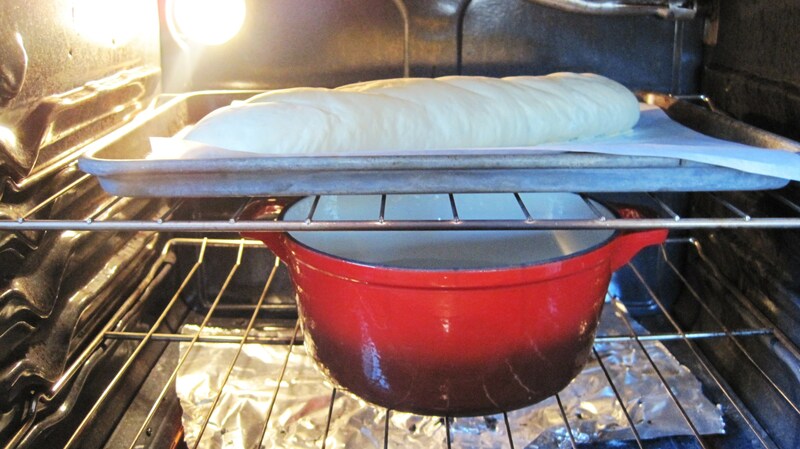 Place a dutch oven or oven safe pan into oven, place on bottom shelf and fill with water. Preheat oven to 375 degrees. 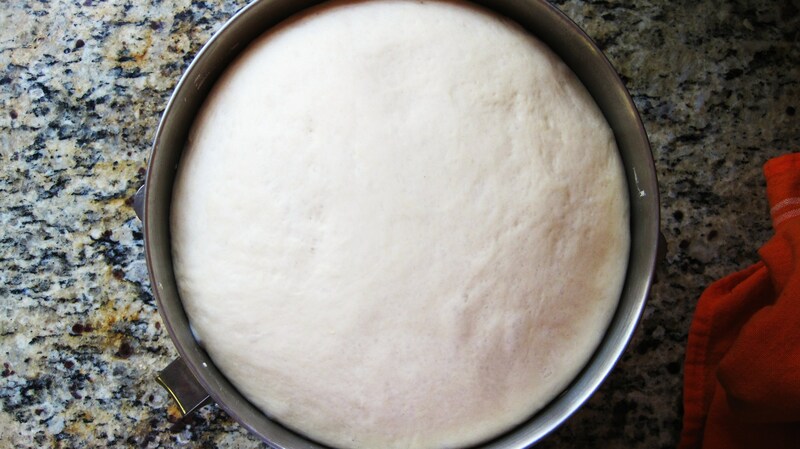 Once bread is risen, bake for about 20-25 minutes. 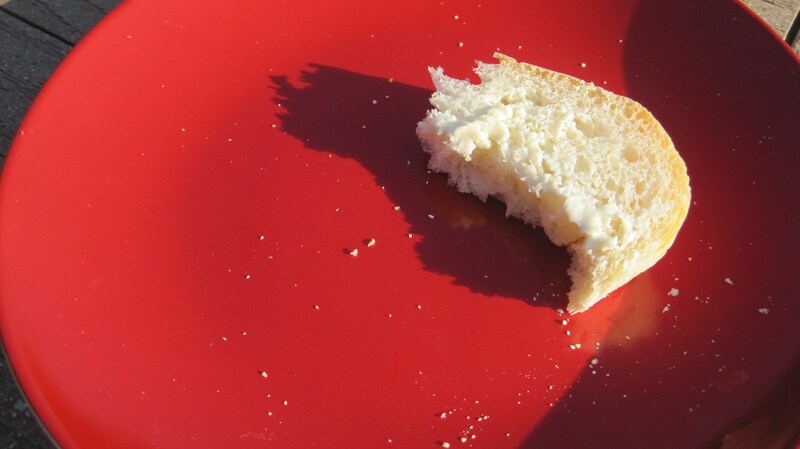 I figured about 10 large slices per loaf. Look how pretty it looks on the inside! I’m so proud of myself with this bread. We ate one whole loaf for dinner and froze the other one! I’ll tell ya, I could of ate one whole loaf for dinner by myself. 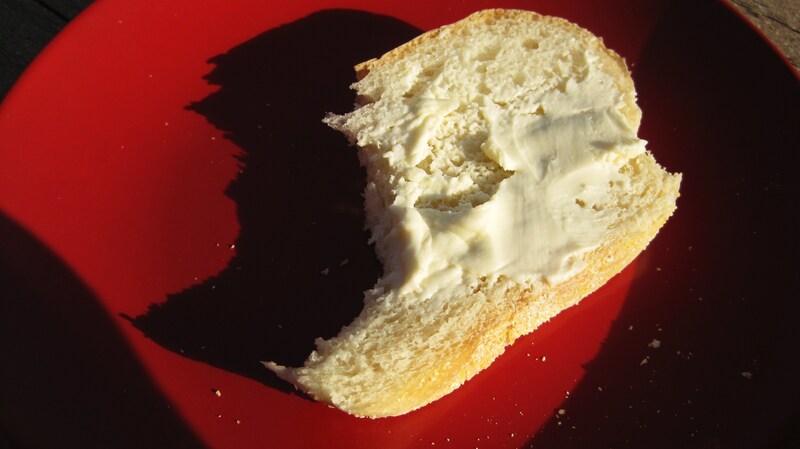 I love bread and crusty bread thats all moist and soft on the inside is just perfect!! Time to shemer on some butter!! Those are some beautiful loafs! You’ve got some bread baking skillz. Thanks, I keep practicing. 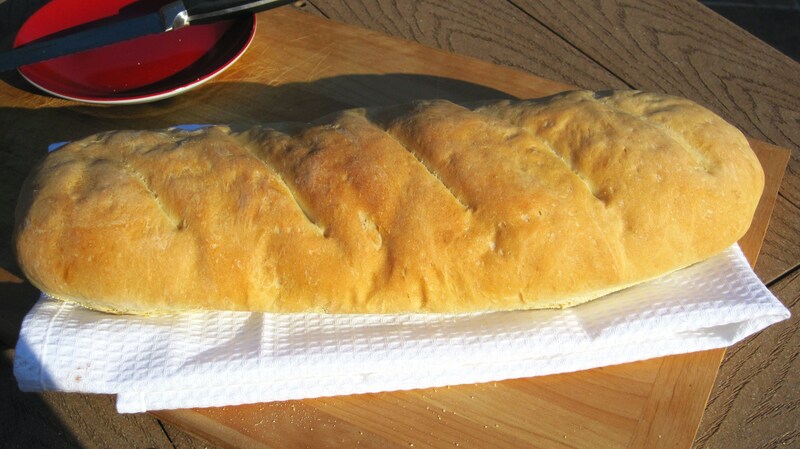 I want to make Pesto bread this weekend, I think it will be tougher but even if it turns out funny looking, I would imagine it will taste good!! I know, me too! They seem intimidating, but I would like to give it a try! I wonder what kind I should make? Have you ever seen the bread shaped like animals? I think that’s pretty cool! 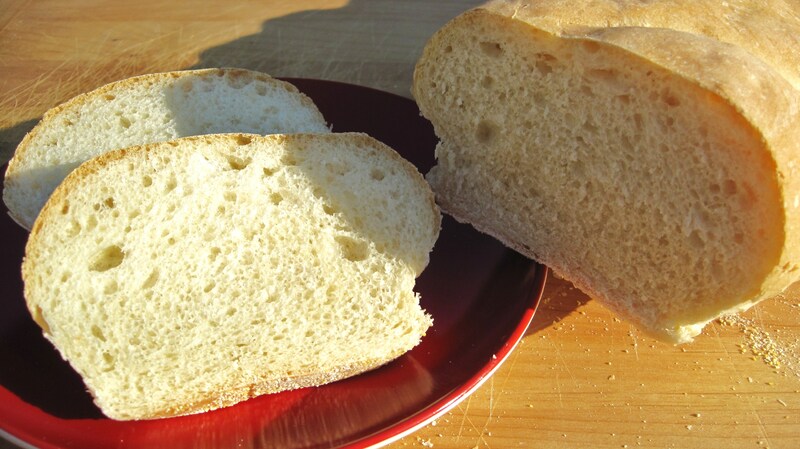 Carb-o-holics like myself should not know how easy it is to make a delicious loaf of bread! !